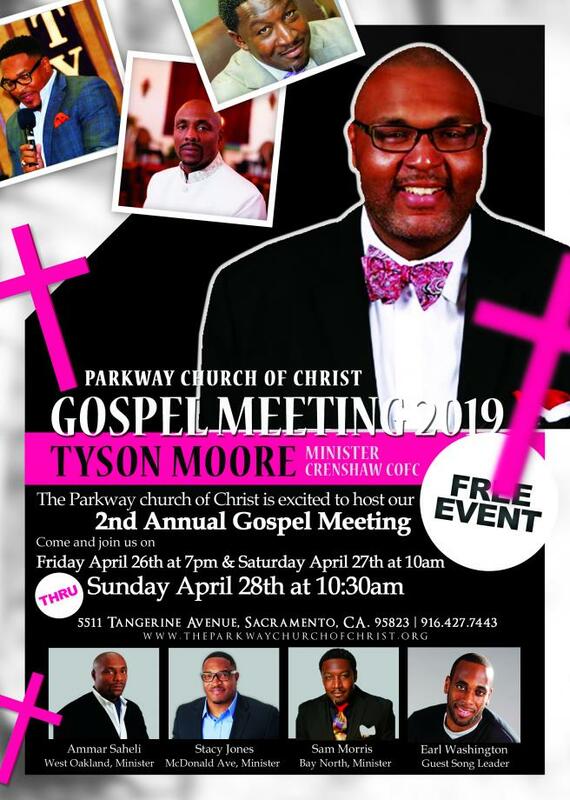 Parkway is excited to host our 2nd Annual Gospel Meeting. Bro. Tyson Moore will return once again however, he's not coming alone. We are also elated to have Bro. Ammar Saheli, Bro. Stacy Jones, Bro. Sam Morris, and Bro. Earl Washington on program. Come and join us on Friday April 26th at 7pm and Saturday April 27th at 10am. We will close out the event Sunday April 28th.